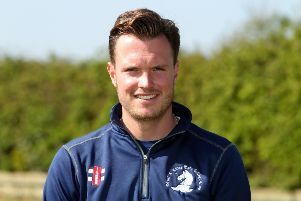 Qaasim Adams completed his third century of the season as Banbury cruised to victory in the Home Counties Premier Cricket League. Banbury beat Thame Town by 172 runs in Saturday’s division one fixture at White Post Road. 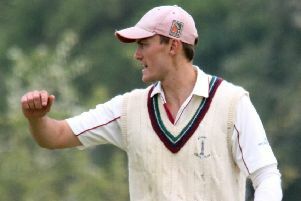 Having been inserted, Banbury lost Tom Bartlett with 20 runs on the board when he was trapped lbw by Christopher Jeffcock. Fellow opener Craig Haupt and Lloyd Sabin put on 37 runs for the second wicket when the Banbury skipper was caught by James Adams off Jonathon Jelfs for 17 runs. Haupt and Adams then put on 71 runs for the third wicket. Haupt was trapped lbw by Hassam Mushtaq for 59 runs off 105 runs which included nine fours. But Adams and Oliver Clarke produced the key partnership of the innings, taking Banbury on to 233-4. Clarke was bowled by Mushtaq for a quick-fire 31 runs off 34 balls. Richard West went early but Adams went on to complete his century before he was stumped by Oliver Sutcliffe off Mushtaq off the final ball for 104 runs from 105 balls that included nine boundaries and two sixes as Banbury posted 268-7 off their 50 overs. In reply, Thame made a poor start when Will Sutcliffe was bowled by Olly Wright and never really recovered as they were soon reduced to 57-5. Only Mushtaq offered any resistance to the Banbury attack as he remained unbeaten on 31 as Steven Green and Graham Beer enjoyed good spells with the ball. Thame were dismissed in the 27th over with Green taking 3-11 and Beer picking up 3-24 as Banbury wrapped the points up.